Windows Mobile 6.5 phones will be arriving on October 6, with Microsoft now pushing the term 'Windows Phone' for handsets using the Operating System. Although Windows Mobile 6.5 has been on the horizon for some time, clarification of the arrival date has only just arrived. In Europe mobile operators Orange, Deutsche Telekom AG and Vodafone Group Plc, and phone manufacturers Acer, HTC, LG Electronics, Samsung, Sony Ericsson and Toshiba will be producing devices. "In just five weeks, you'll have a bunch of new Windows phones to choose from," Windows official mobile blog announces. A key change for Microsoft's new strategy will be to push the term 'Windows Phone' to ensure people know that the handset is utilising the company's OS. "Interestingly enough, we discovered that most people who carry a Windows phone don't realize it's running Windows Mobile," adds the blog post, by way of explanation. "We also heard from many people considering their very first smartphone purchase that they'd very strongly consider a phone running Windows because it's a brand they know and trust. "You'll see us try to simplify our branding so it's easier for people to know when they're carrying a Windows phone and easier to find them in stores." Microsoft is keen not to limit its OS to just smartphones or business devices adding; "On 6 Oct, you'll see new Windows phones designed for a variety of tastes, needs and price points - with or without keyboards, with or without touch screens, as well as your choice of GPS, accelerometer and high resolution camera. "There are a lot of great options and we can't wait to show them to you. Until then, keep an eye on our partners as they announce details on new Windows phones and where you can find them this fall." Microsoft also announced Windows Marketplace - its equivalent of Apple's app store, and My phone. "We also included the latest Internet Explorer Mobile browser and added free services like My Phone to help protect data in the event of a lost phone and Windows Marketplace for Mobile for access to a wide variety of applications for direct download." 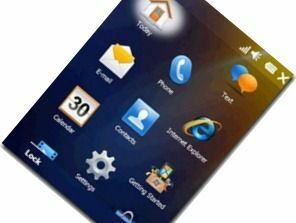 We also included the latest Internet Explorer Mobile browser and added free services like My Phone to help protect data in the event of a lost phone and Windows Marketplace for Mobile for access to a wide variety of applications for direct download.